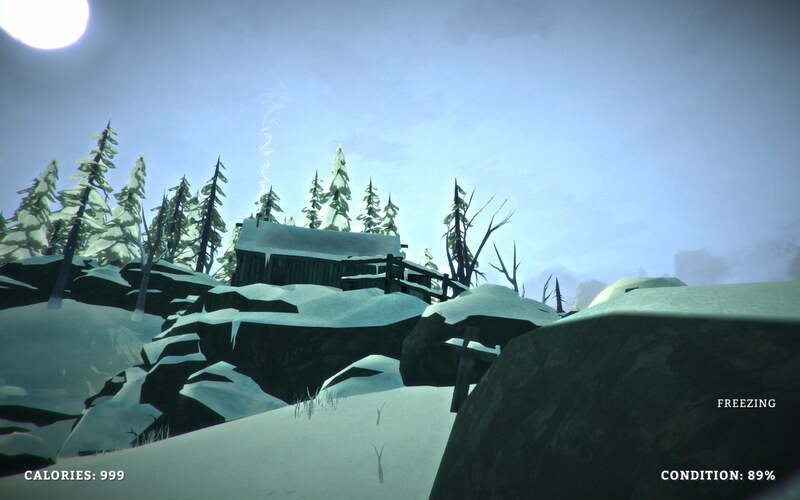 The Long Dark looks to throw a bucket of cold water at the Sandbox Survival Sim genre. Does this Early Access chiller show promise, or simply leave players to the dogs? Preview Code Povided By: Hinterland Studio Inc. Remember when modern war shooters were everywhere, seemingly growing from trees like juicy, brown AK-47 shaped fruits? It was a simpler time, with barely a crafting mechanic in sight. That is until Minecraft “revolutionized” gaming, and “Sandbox Survival Sims” (that sibilance!) became the new “thing” for developers to saturate the market with. That’s not to say that “SSS” games can’t be good or even great, just that their fast climb to ubiquity has made it harder to separate the wheat from the chaff. The Long Dark is an “SSS” game in its purest form, as it strips down a lot of the genres crafting and defence elements for a more focused experience, one in which the player’s goal is simply to get from A to B, keep warm, ward off hunger, and stay alive. As a result of this focus and attention to detail, The Long Dark brings a refreshing level of realism to the genre – so much so that Hinterland even prefaced the game with a disclaimer: “The Long Dark is not an adequate substitution for actual survival training.” In other words, this survival game is less about finding minerals to craft shelters, and more about scavenging for equipment/supplies in pre-existing shelters; such is the nature of a modern post-apocalypse set in the mountains of Northern Canada. My experience living in student housing made me adept at finding the ever elusive can opener. This sense of pseudo-realism extends into the mechanics of inventory pick-up and management. Want to gut a frozen deer corpse for its hide or meat? You’re going to need a hunting knife. Want to open a tin of Pork and Beans? You’re going to need a tin opener. Wool socks bogging down your inventory space? You can harvest and recycle that wool and use it to fix your tatty woollen hat. 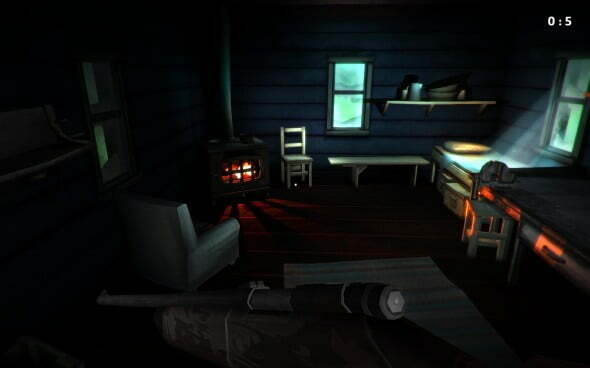 This is where The Long Dark excels and winds up resembling a sort of virtual exploration of a Bear Grylls show – you’ll always begin Sandbox mode with enough equipment and medical supplies to survive for a few hours, but without finding the warmth of a cabin fire, a firearm to hunt deer, or some processed food, survival is simply out of the question. It’s a shame then, that The Long Dark all too often comes close to cheaply throwing away its quality survival gameplay in favour of unpredictable and unnecessary wolf attacks. On two separate occasions, after hours of scavenging, exploring and inventory management, I was killed by wolves that I could not hear or see coming. It’s not even like I could shoot them, because I was instantly taken into a confusing mouse clicking QTE ripped straight out of COD 4‘s dog murdering handbook. If the game is a slow burning exploration title about resource management and battling one’s natural human needs, why throw all of that away for a cheap wolf QTE? It feels forced and antithetical to the tone and feel of the rest of the game. Sure, introduce wolves and other combat sections when I have a hunting rifle or some other form of weapon, but I don’t appreciate being literally thrown to the wolves with no chance of survival. Finding shelter is just about the most important part of the game, second only to utilising the supplies found in said shelter. It’s also promising to hear that The Long Dark‘s story mode is one its way – it’s unavailable at this stage in the game’s Alpha – since Sandbox mode can feel a little directionless at times. That’s not to say said mode doesn’t possess a distinct level of tension and mystery, just that it can often feel like there’s no real reason to survive, other than because the game has mandated that I try my goshdarn hardest to. What Sandbox mode does provide, however, is a solid set of streamlined survival mechanics and techniques, most of which don’t even take an awful lot of effort to master. If Sandbox mode has laid out the groundwork for a fantastic survival game, further improvements (as well as Story Mode) should iron out remaining creases and add some method to The Long Dark‘s madness. If nothing else, it’s nice to play an “SSS” game that doesn’t look like a dog’s vomit melting on a hot car wind-shield; The Long Dark sits somewhere in between the alpine realism of Skyrim and the abstraction of Proteus, meaning it can get away with rendering large environments and relatively simple textures whilst still looking great. The same can be said about the game’s scarcely used HUD and UI elements, especially when compared to other such games with horrendously cluttered UIs like Salt. 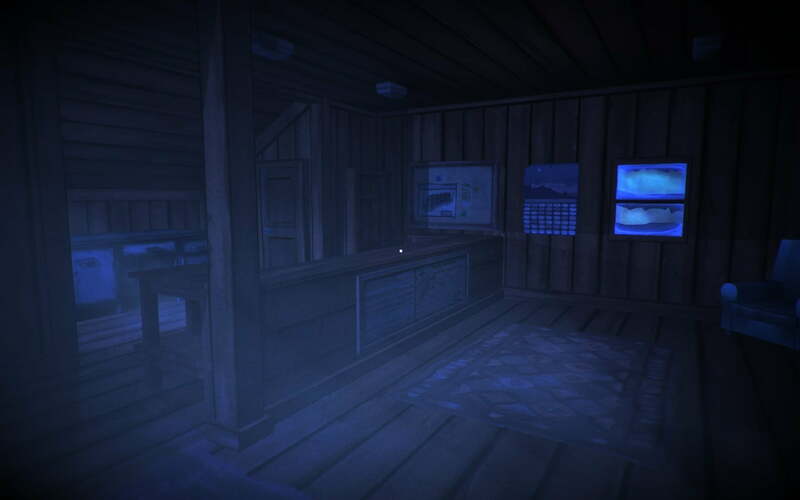 Notifications regarding hunger/sleep/warmth levels pop up in the corner of the screen in the form of subtle text warnings, but the player’s “needs” also become apparent through audible cues like yawning and shivering. If you need to access all of this information, as well as easily accessible menus for crafting, building snow shelters and the map (all still unfortunately unavailable), you can simply hit Tab to bring up the clean and efficient survival menu. I could make a joke about The Long Dark being a Snowbox game, rather than a Sandbox game, but I’m not the Devil so I won’t. The Long Dark has an awful lot of potential, it fact I wouldn’t be surprised if it became the go-to Survival Sim for single player loners like myself and Gizorama’s own Tim Allen. There’s no shoehorned MMO nonsense and there are no unnecessary undead hordes to fend off, The Long Dark is simply about surviving via any means necessary, which Hinterland has made a joy to experience thanks to the game’s strong survival and inventory mechanics. Things still feel a little bit like a casual meander through a wolf infested national park at the moment, so there’s definitely some gameplay balancing to be done. The Long Dark is rough around the edges, but as single player survival games go, this is the cream of the crop.